2015 has turned out to be a bumper year for Granit. We’ve had a great year for projects finishing and happy clients. Take a look as we share a selection of our most exciting highlights from the past year. 2015 has been an extremely busy year for Granit and the practice is now larger than ever! George, Jonathan and Gina have all joined our architectural team. 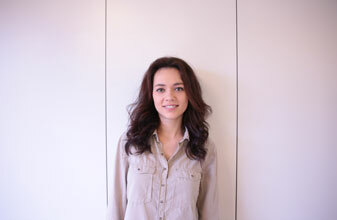 Whilst Georgia has recently joined our interior Design and Andrada, our studio management team. You can find out a little bit more about each of them below. Jonathan studied for his architectural qualification at the University of Portsmouth and graduated this year with a First Class Honors. He also won the BA3 Dibben Prize for student who best demonstrated an understanding of construction and materials. Jonathan has had the opportunity to live in Paris, Pakistan and London. 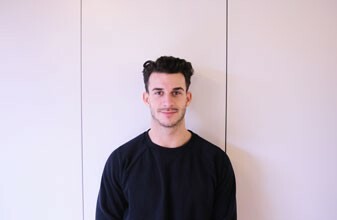 Having lived in culturally rich countries Jonathan explains the advantage he has when perceiving a project, such as the insight into a variety of architectural responses to climate, economy and culture. 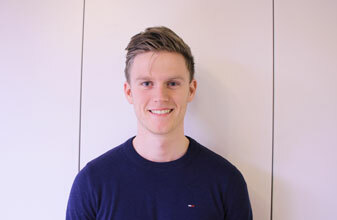 George studied architecture at the University of Portsmouth and graduated with a First Class Honors this year. He was awarded the prize for Best Drawings in BA3 Architecture. He has previously studied fine art, mainly focusing on portraiture through painting and drawing. George expresses an Interest in sustainable design and how we can utilise the environment to influence the way a building is designed. He is also interested in landscape architecture and how the spaces in-between can be just as important as the architecture itself. 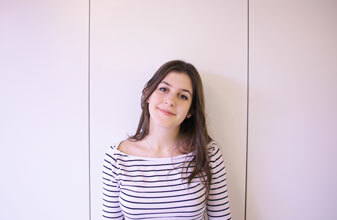 Gina studied her first year of her Part 1 BA Honors in architecture at Ecole Speciale d’Architecture in Paris; her second and third year were spent at the University of Westminster. Gina graduated this year. Gina is particularly interested in model making because of the relationship it allows you to have between your hands and cardboard. You’re able to experience volumes more vividly and reflect upon them much more creatively. Gina particularly favours the work of Tadao Ando due to the imposed presence of his projects. Georgia studied Interior Architecture at the University of Portsmouth. She has previously worked for textile brand Akin & Suri who helped her to understand the softer side to interiors through the use of fabrics and textiles. 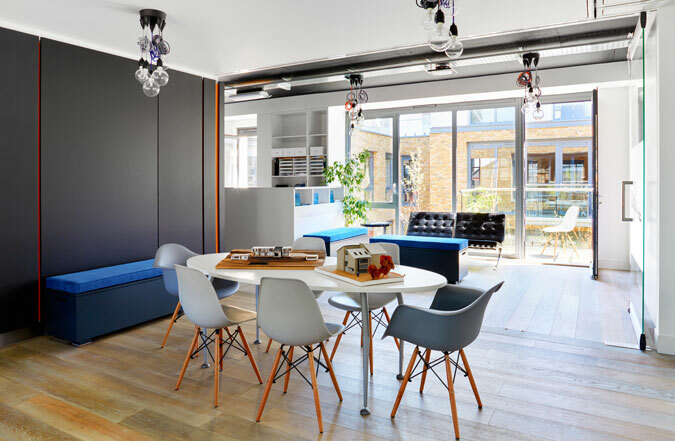 She believes interior design is incredibly important to making a house feel ‘homely’ as the right choices can affect how people move through a space. Georgia particularly loves the work of Suzy Hoodless, as she incorporates fun, bold colours, shapes and textures into timeless designs creating an exciting home. 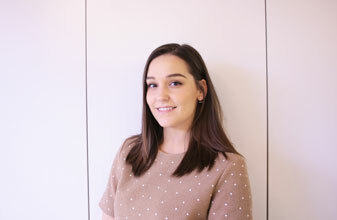 Andrada has also joined us as part of our studio management team, and will work alongside Issie to help with the smooth running of our practice on a day-to-day basis. Andrada has a degree in Psychology. This now makes us a growing practice of 20 architects, the biggest we’ve ever been! We’ve relocated our studio to new offices fitted out to our own design and specification. We’re really pleased with our new space and its come just at the right time, as it perfectly meets the needs of our growing team! We’ve also got lots of extra room for our staff and clients to enjoy. Make sure one of your New Year’s resolutions is to pop by and take a look around our new studio! We recently achieved planning permission for development of 140 residential units on a brownfield site in Horsham, Sussex. This is an interesting scheme, part conversion and part new-build, with two additional blocks added to an already substantial site. 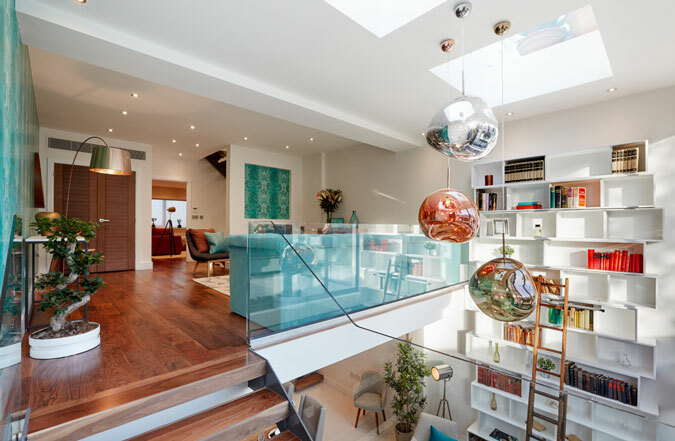 Also, our work to convert a dis-used recording studio in Hammersmith, West London into 14 spacious town houses and a commercial unit has recently been finalised. This is a clear example of how design pays and we’re really proud of the end result. Take a look for yourself! Although these larger schemes often poses challenges from the start, we’ve enjoyed the journey we’ve been taken on, and have learnt a lot along the way which we are keen to implement on our newest commissions. We’ve recently started using BIMx, a product from Graphisoft’s Archicad, to produce interactive 3D models for our clients. These allow our clients to quickly visualise our proposals and navigate around a virtual model of their property. It greatly assists in making and signing off design decisions. There are also benefits for consultants, suppliers and contractors to be able to visualise the proposals and co-ordinate with construction drawings. The 3D models can be viewed by our clients on a smart phone, tablet or laptop within the comfort of their own homes. We are also starting to use a plug in called Ecodesigner Star which enables accurate prediction of the thermal modelling of the building, whether a new build or a retrofit of an existing one. Enabling us as architects to make considered decisions about insulation specifications, areas of glazing, heating systems and predict the actual final energy use of the building. It’s definitely been a busy year for the Granit team and we predict 2016 is going to be even busier! Hold on to those hard hats! All that’s left to say is, we wish you a very Merry Christmas and a prosperous New Year.